BRUNEI Darussalam is among the eight economies in Asia and Pacific with a “very high” level of human development, according to the 2017 edition of Asian Development Bank’s (ADB) Key Indicators for Asia and the Pacific. latest statistics on a comprehensive set of economic, financial, social, environmental, and Sustainable Development Goal (SDG) indicators for the 48 regional members of the Asian Development Bank. Besides Brunei, the other top tier economies include Australia, China, Japan, the Republic of Korea, New Zealand and Singapore. The ADB report has lauded the Sultanate’s initiatives for education and health development as well as environment protection. The report indicated that the proportion of trained teachers in upper secondary education who have received at least the minimum organised teacher training exceeds 90 per cent in 10 out of 15 member economies, including Brunei Darussalam which scored 90.1 per cent. According to the 2016 Education Statistics and Indicators Handbook of the Ministry of Education, on average there is one teacher for every 10 students across schools in Brunei. Last year saw an average of 443 students and 44 teachers per school. As of last year, the number of schools stood at 252, while the number of students and teachers totaled 111,698 and 10,985 respectively. There were 192 pre-primary and primary schools last year (compared to 195 in 2015), while the number of secondary and sixth form centres was maintained at 40 for both 2016 and 2015. The number of tertiary and vocational education institutions increased to 13 (compared to 12 in 2015), while the number of higher education institutions remained at seven for both 2016 and 2015. Healthcare in Brunei Darussalam has progressed significantly over the last decades and work is already ongoing to ensure that healthcare provision, quality and performance for Brunei is at its highest level possible. Over the last few decades, health in Brunei has progressed considerably as measured by a number of internationally recognised health metrics. These include annual increases in life expectancy; early achievement of the United Nations health-related Millennium Development Goals (MDGs); decentralisation of primary healthcare services to ensure its accessibility among the local community; elimination of communicable diseases of public health concern such as malaria, measles and polio; increases in the number of local doctors, specialists and other allied health professionals; establishment of national centres of excellence including the Pengiran Anak Puteri Rashidah Sa’adatul Bolkiah Institute of Health Sciences (PAPRSB IHS) of Universiti Brunei Darussalam (UBD), Women and Children’s Centre, The Brunei Cancer Centre (TBCC), and the Brunei Neuroscience, Stroke and Rehabilitation Centre (BNSRC). These improvements in Brunei’s healthcare system have been highlighted in a recent study published in The Lancet which reported significant improvements in healthcare access and quality for Brunei Darussalam from 1990 to 2015. Brunei’s environmental protection was also lauded in ADB’s Key Indicators report. 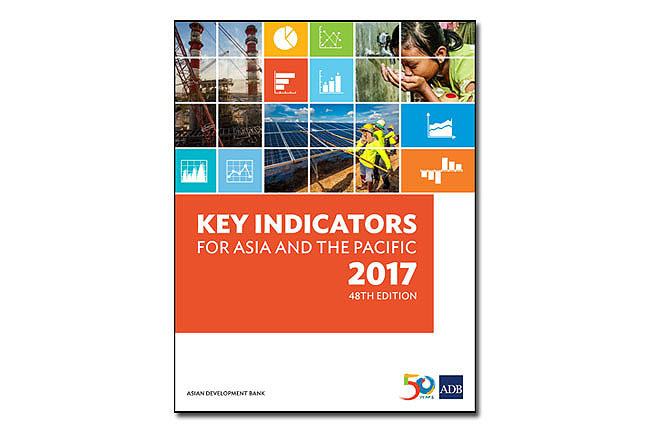 “Key Indicators 2017 is a useful tool for ADB member countries, researchers, media, and citizens for monitoring the region’s development progress,” said ADB Chief Economist Yasuyuki Sawada. “Data plays a critical role in helping decision makers prioritise policies to meet their development goals and the report brings together comparable statistics on a broad range of development themes,” he added.